We live in a world of energy, where everything consists of energy… FACT! Everything that you can see, as well as everything that you cannot see! Science has proved that fact through atoms, molecules, electrons, etc… And we can prove this to ourselves if we train our eyes to see what they have not been accustomed to seeing… and train our hands to feel what they have not been used to feeling. Exercise: Look up at the sky. Stare without blinking until your eyes lose focus. You will be able to see the energy floating in that space. Exercise 2: place your hands in front of you a little further than shoulder width apart, palms facing each other, bring your hands together slowly to the point where you can sense a magnetic field (mainly repulsion). This is the feeling of energy of your aura and space around you. Throughout the history of mankind, healing methods have always existed which are based on the transfer of Universal life force energy – cosmic energy – the same energy which brings forth all life in the universe and nourishes it. 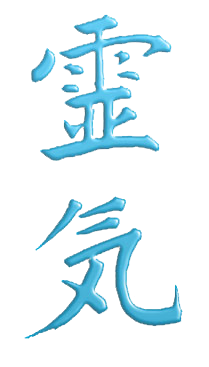 The word REIKI is a Japanese word, Rei – meaning Universal and Ki – meaning the Life Force Energy. It is defined as the power which acts and lives in all matter. Thousands of years ago, Tibetans possessed a deep understanding of the nature of spirit, energy and matter and used this knowledge to heal their bodies, harmonize their souls and lead their spirit to an experience of unity. This knowledge was guarded and preserved by the mystery school of most ancient cultures, and was available in its entirety to only very few people, namely priests or spiritual leaders who in turn passed it onto their disciples through word of mouth. This knowledge of REIKI or Universal Life Force Energy, would have remained lost forever had it not been for Dr. Mikao Usui who rediscovered the key which led to the recovery of this thousand year old method of healing at the end of the 19th century. In depth information about Dr. Mikao Usui’s Life and the Origin of Reiki can be found here. Reiki is a natural system of healing of the mind, body and soul… bringing them into balance and promoting health, happiness, prosperity and long life. It is administered by “laying on hands” and is based on the idea that a “life force energy” flows through each individual and is transferred from person to person. The body has its natural ability to heal itself from any and all dis-eases, yet we go against this nature (through our thoughts, emotions and way of life) and deplete our Life Force Energy so as to diminish this healing ability. Reiki allows us to increase and balance this Life Force energy and promote the release of negative emotions thereby accentuating and speeding up the healing process. REIKI FLOWS! It is not a religion. It has no dogma, and no form of faith or belief is required to practice it. Reiki will work whether you believe in it or not. It also works in conjunction with other medical or therapeutic techniques to relieve side effects and promote recovery. It has been effective in helping virtually every known illness and always creates a beneficial effect. An extremely effective technique for total relaxation and stress release. One is filled with a sensation of peace, vitality and joy, often controlled with a pleasant feeling of security and of being enclosed in a safety bubble. 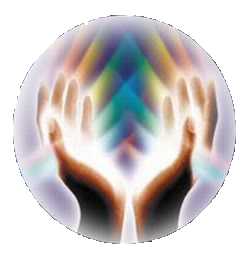 Reiki works on a holistic level, helping to release withheld emotions and dissolves energy blocks which cause dis-eases. To deeper understand how this UNIVERSAL LIFE FORCE ENERGY REIKI, affects each individual, let’s take a closer look at us… on a greater scale than just physical. Our body, which we see is known as the physical body. There are six other bodies outside our physical body. Most of us do not see them with our naked eye as we are not accustomed to. We call these outer bodies the AURA (A latin word meaning gently moving air or a glow of light). The Aura is an energy field which surrounds the body and permeates it, like a kind of Halo. Nowadays, we can take photographs of these outer bodies (your aura) , using a form of photogram made with electricity called Kirlian photography. Each of our outer body of energy field have a different diameter, for example the Spiritual Body has a diameter of 15 to 18 feet. The Mental Body has a diameter of up to 8 feet and the Etheric Body (easiest to see with the naked eye) radiates from the “physical body” and has a diameter up to 8 inches. Out of our seven bodies, if our physical, etheric and mental bodies are in harmony, we can have perfect health. Whereas, if proper balance within these 3 bodies is not maintained, we become uncomfortable or diseased. Our Physical Body is that body which we can see. Diseases manifest in this body and we feel them as pain, illness, ailments, discomfort, etc… Diagnosis and treatment are mostly related to our physical body. But what is the root of these dis-eases? Science has approved that any major disease has its roots long before the time it could even be recognized as a disease. So the question remains: where is the root of such disease and why do we fail in proper diagnosis? Our Etheric Body surrounds our Physical Body like an armor and protects it from negative vibrations. Our SEVEN MAJOR CHAKRAS (also know as the energy centers of our body) are in this body. As these Chakras lie in the Etheric Body, we cannot see them in our Physical Body. Please visit the above link for a thorough CHAKRA explanation. Our Mental Body surrounds our physical body up to 8 feet. All our thoughts are developed here and they move into our Physical Body through our Etheric Body. Our thoughts are constantly changing and we know that our thoughts are not always positive or fulfilled. We have 2 types of thought forms, positive and negative. Our positive thoughts are our divine power and our negative thoughts are our fear-based, destructive power (I use the word power because they hold as much Energy Charge as positive thoughts if not much more). As we also know, our life is molded by our thoughts… our thoughts make our reality. THOUGHTS DEVELOP IN OUR MENTAL BODY… THESE THOUGHTS DISSIPATE THROUGH OUR ETHERIC BODY AND REACH OUR PHYSICAL BODY. NEGATIVE THOUGHTS CREATE PRESSURE ON OUR PHYSICAL BODY AND THIS PRESSURE, IN TURN, IS CONVERTED INTO BODY PAIN… WHICH IN THE LONG RUN, MANIFESTS INTO DISEASE. There are over 150 non-drug therapies being practiced all over the world these days such as Reiki, Accupressure, Acupuncture, Jin Shin Jytsu, Pranic Healing, Yoga, Naturopathy, etc… out of all these non-drug therapies, Reiki is safe, simple, easy to learn and use. 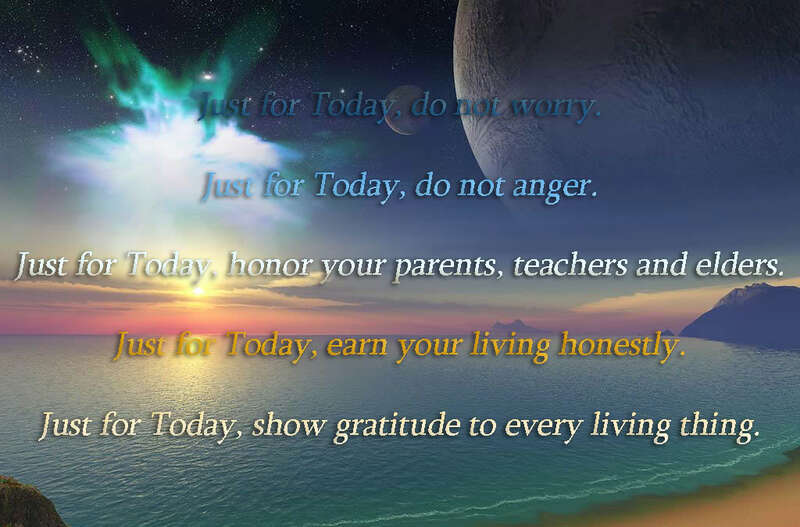 Most importantly, Reiki is free from any side effects. It is a natural system of healing through cosmic energy. By practicing Reiki, we develop and harmonize our Chakras and balance the energy within them. We are relieved from stress, tension, and ultimately get rid of disease in the mind (through our thoughts) and in the body. We enjoy normal perfect health, a pleasant feeling of security and of being enclosed within a safety bubble, peace of mind, joy in our heart and prosperity in our life… which leads to our SPIRITUAL GROWTH! To begin practicing Reiki on yourself and others, an initiation is required.